You are going to Watch Naruto Shippuden Episode 85 English dubbed online free episodes with HQ / high quality. Stream Anime Naruto Shippuden Episode 85 Online English dub The Terrifying Secret. Shikamaru realizes Kakuzu has five hearts, each of which must be killed to defeat him. He also reasons that separating Kakuzu from Hidan is the only way to defeat them, and, so he uses Shadow Possession Jutsu to lead Hidan into a dense forest. 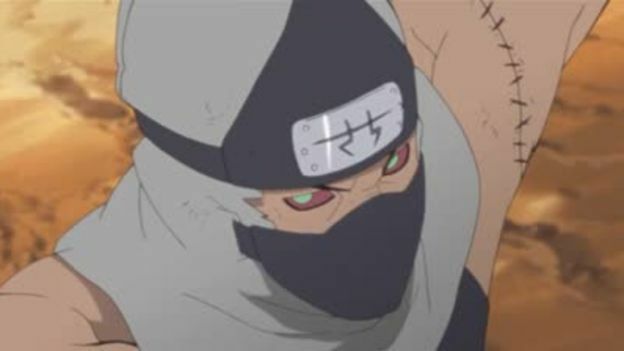 Kakuzu combines two of his hearts into a single entity and prepares to face Kakashi, Ino and Choji to get a replacement heart. At the same time, in the forest, amidst numerous explosive tags that Shikamaru had set up for the Akatsuki duo, Hidan strikes Shikamaru with his spear, drawing his blood and ingests it. He then prepares to use his curse ritual to kill Shikamaru.